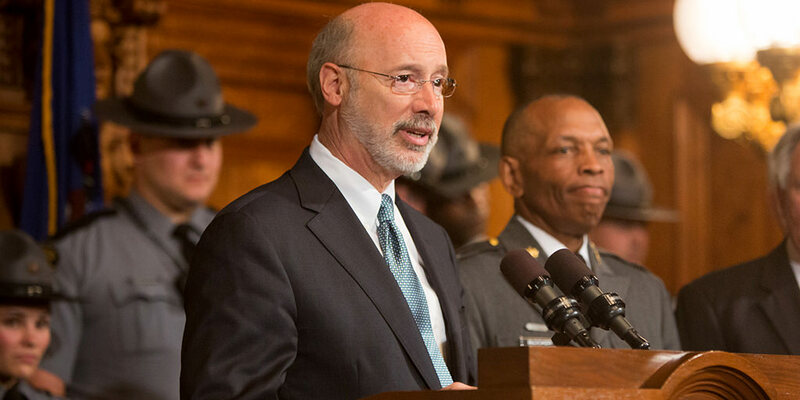 Governor Wolf announced that the Pennsylvania State Police (PSP) has been awarded a $52,000 federal grant that will help fund a pilot program of body-worn cameras. 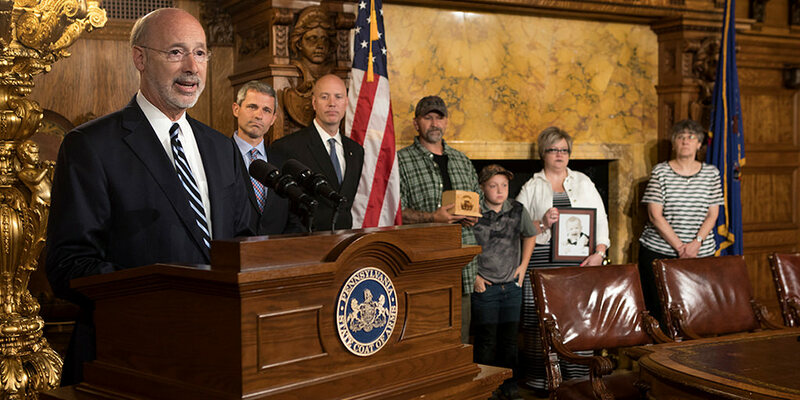 Governor Wolf signed legislation to establish a Rare Disease Advisory Council in Pennsylvania, a step forward to help more than 1.2 million residents suffering from a rare disease. 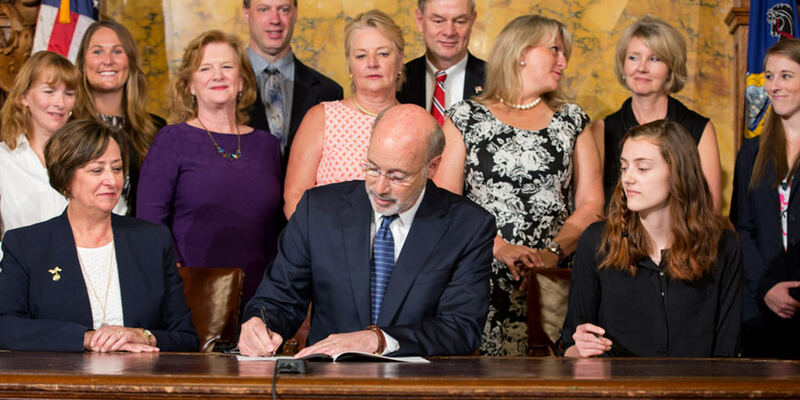 Governor Wolf signed House Bill 217, renewing the commonwealth’s commitment to the safety of its children and increasing penalties for those who carelessly and flagrantly endanger them. 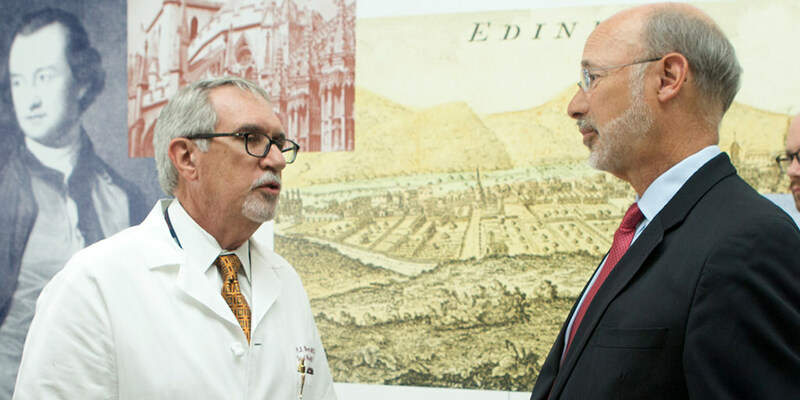 Wolf Administration’s PA Prescription Drug Monitoring Program Sharing Data with 10 Other States and D.C. The Wolf Administration’s Department of Health announced that the Pennsylvania Prescription Drug Monitoring Program (PA PDMP) is now sharing data with drug monitoring programs in 10 states and Washington D.C. 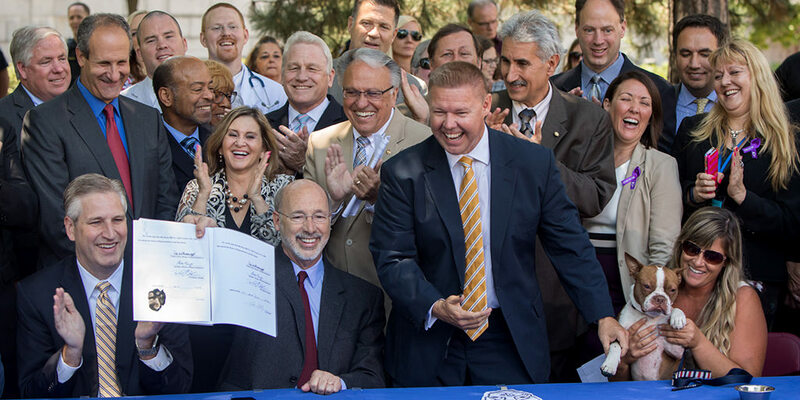 Governor Wolf signed the animal cruelty prevention bill at a public celebration surrounded by advocates and members of the legislature.